When you are facing a financial predicament, a small loan is proven to be a quick and useful avenue to get cash. It doesn’t take long to acquire this type of loan because you don’t need to declare an asset as collateral. The common reasons for acquiring a small loan are medical expenses, important purchases, and utility bill payments, to name a few. In a perfect market of competing sellers and buyers (seeking to negotiate rationally), prices fluctuate according to market capacity. Lenders have no incentive to set competitive prices for their loans because it cannot be patented. In other words, if a financial institution chooses to reduce the cost for borrowers to increase their share of the market, competing lenders will immediately do the same, negating the effect. For this reason, among other things, all lenders on the market charge fees in an amount equal to or very close to the maximum fees and rates allowed by law. Before deciding to take out a small loan, borrowers should know certain information before the loan application. These factors are essential for consideration, especially with loans that need to be paid off quickly. The name of the business, including its mailing address and telephone number. This should also include their email address and license number. A permit is required for each place of business where loans are offered, prepared or provided to borrowers. Lenders cannot offer, prepare, or provide loans unless they are licensed. The Internet makes it easier than ever to buy goods and services from the comfort of your home, and it’s just as true for loans. Online lenders must also be licensed and follow the same rules as established lenders. Before choosing a lender, make sure that you are dealing with a company that has a valid license. You can also check if the license of any business has been suspended or revoked, or if the license application has been refused. The amount of the loan — Consumers can borrow up to 30% of the net pay recorded on their last payroll. NET PAY x 0.3 = Maximum amount you can borrow. Example: If a person’s last net pay was $1,000, they could borrow a maximum of $300. The annual percentage rate (APR) is another thing to consider. There is a maximum amount you may be charged for each $100 loan installment. This usually varies from lender to lender. 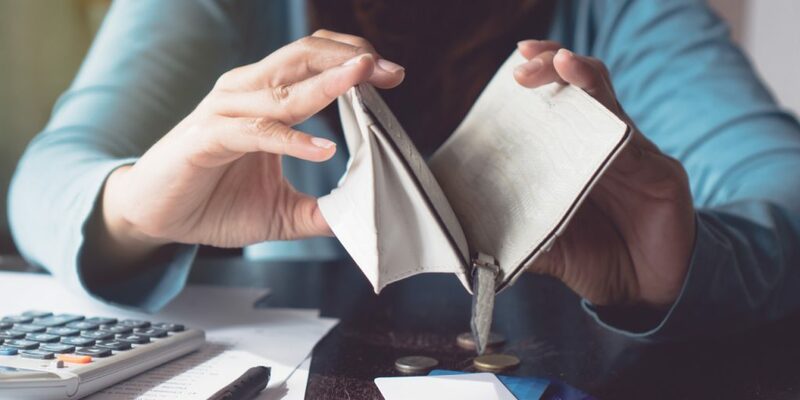 Information about the termination of the loan and the borrower’s cancellation rights — Loans can be cancelled, but it must be done within 48 hours (excluding Sunday and other holidays) following receipt of the first advance. If a person takes out a small loan on Monday at noon, they have until Wednesday at noon to terminate it. They can also terminate a loan at any time if the lender has not informed them that they have the right to terminate the loan within 48 hours or if the notice of termination does not meet the requirements set by law. An acknowledgment form used by the lender to indicate the amounts you paid or refunded if you decide to terminate the loan. To have a better idea on this, read Quickle’s Disclosure Documents. People who take out a loan must receive a copy of the loan agreement when it is signed, and the lender must review the contract with the borrower at the same time. The law explains the information to be included in the loan agreement. This information is intended to ensure that you fully understand your obligations before signing the contract. Make sure you understand all the information in the loan agreement and know the amount you are borrowing, the fees associated with the loan and when you will have to repay. To learn more, check out Quickle’s small loan product.